I’ve been awol from my blog for the whole holiday season. So much going on with family in town etc. I just needed to take a lil blogging break. But I’m back now!! So there’s a lil surprise in these shortbread. Ever used goat butter before? Whoa guys. I know. Goat butter? Huh?! But just bear with me. I started my new culinary classes this past week, and one of them is a Cookies, Candies & Confections class. In the first class we all got into groups and made shortbread cookies from the same recipe, but each group used different butter (organic, regular sweet cream, a local creamery etc) to see what the difference would be in flavor and texture. My group got the goat butter. I was really excited because I looove goat cheese, so I figured goat butter had to be delicious. Oh and it waaas. Imagine a shortbread cookie, with the creamy melt in your mouth texture (like they should be), and then with a little slight goaty tang. Ya gotta try it if you like goat cheese. Ugh. Dead. This recipe also has semolina flour in it, which gives it a perfect textural aspect while still being buttery and delicately tender. 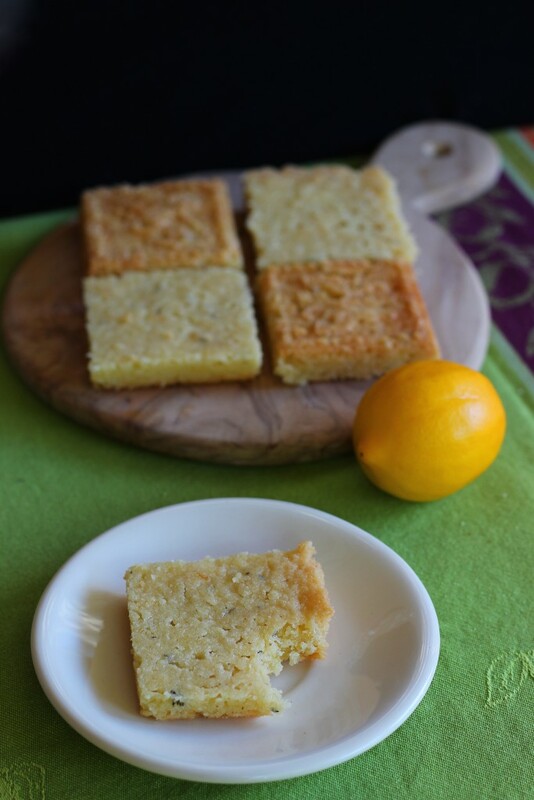 In class we made plain shortbread to taste the butter, but I decided to mix it up here on the little blog for fun. 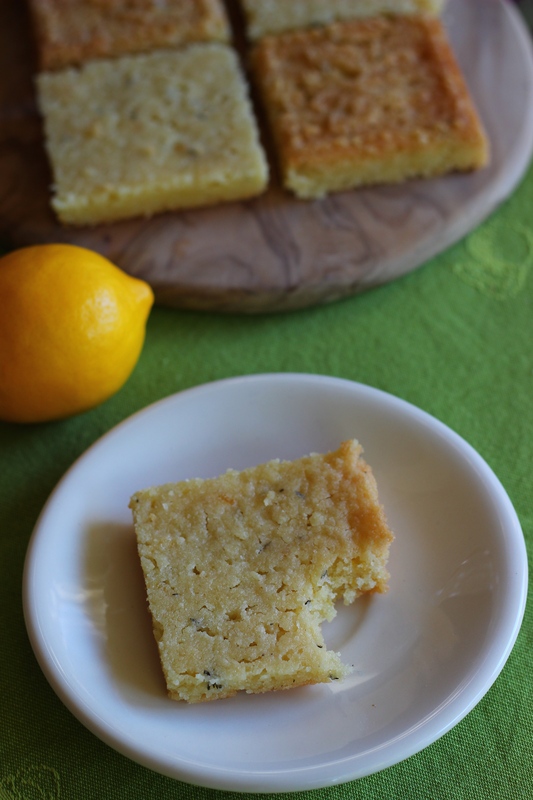 The lemon and thyme are just enough to perfume the cookies, but aren’t overpowering. The theme this month for the Creative Cookie Exchange is to make someone’s day with cookies. My boyfriend Nevin (usually referred to as Nev or the male-friend on the blog) just graduated before Christmas from my alma mater, Humboldt State University, so he’s finally home for an extended period of time. We had been doing the long distance thing since I graduated in May, so having him home now is wonderful. Preheat the oven to 325 degrees. In the bowl of your stand mixer, cream together the butter and sugar on medium speed until light and fluffy (about 3 minutes). Add in the lemon zest and thyme, and beat until incorporated. Mix together the semolina and ap flour, as well as the salt. Add the dry to the butter mixture in 2 additions, until a crumbly dough forms. Do not overmix! Press into a greased 8 inch round or square cake pan, and bake for 30-35 minutes until the edges have browned and the middle looks set. Allow to cool slightly before turning them out on to a cutting board and slicing into squares. 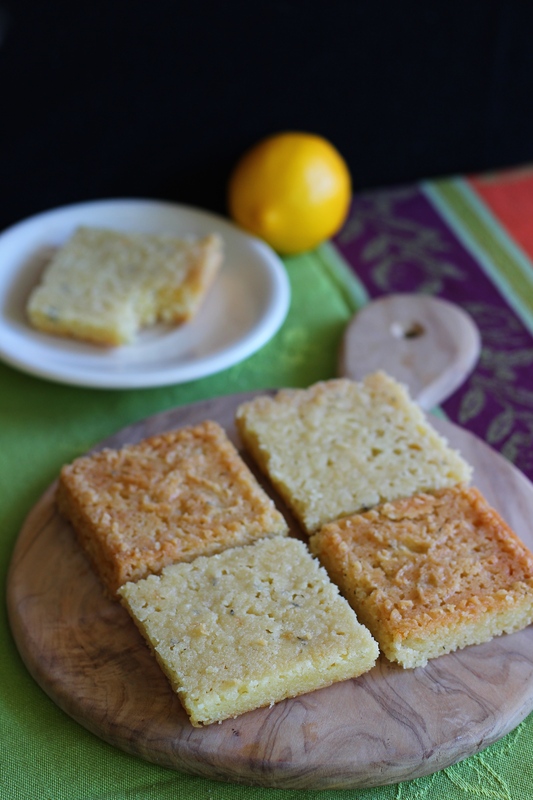 Shortbread are such a comforting cookie! They’re super simple, but sometimes nothing beats just an easy little cookie you can enjoy with a cup of tea or coffee. The lemon, thyme and tangy goat butter are all a lovely little touch of brightness for these buttery classics. The theme this month is Make Someone’s Day Cookies! We chose someone in our lives that we loved and baked them cookies that they love! Maybe you will feel inspired to bake someone that you love a cookie! If you are a blogger and want to join in the fun, contact Laura at thespicedlife AT gmail DOT com and she will get you added to our Facebook group, where we discuss our cookies and share links. I now have a new mission: to find goat butter. I love goat cheese and never new goat butter existed. 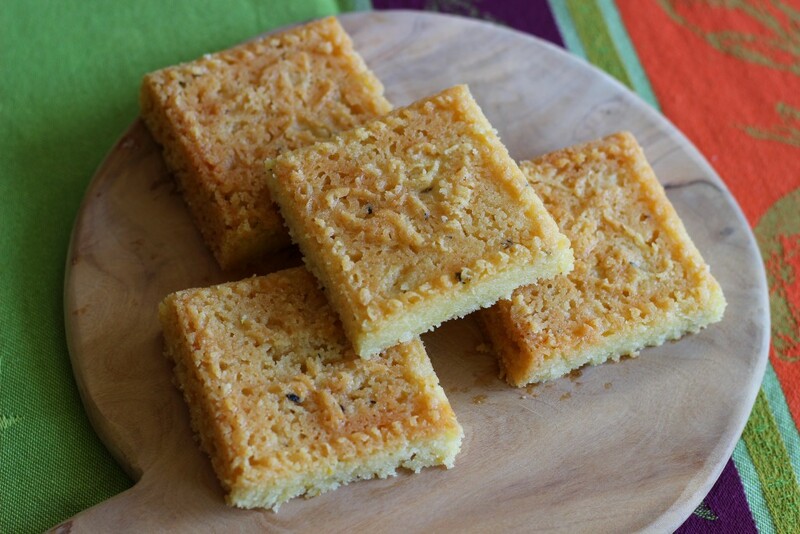 Plus I adore thyme and this shortbread just sounds so darn tasty. Oh, my goodness! I saw goat butter just the other day but I didn’t buy it because I didn’t know what I’d do with it. Problem solved. That golden bottom? Divine. Now if only I can remember which store it was in! P.S. Congratulations to Nevin on his first job out of school! Well done! Thank you Stacy! Let me know what you think if you try it. 😀 Whole Foods should have it if that’s accessible to you! I don’t know that I’ve had goat butter. These cookies look bright and delicious! I have never seen goat butter at the store– I bet now it will jump out at my when I shop this morning at Whole Foods. Congrats to your boyfriend on his new job, that is great news and this shortbread is a tasty way to celebrate! Thank you Holly! 🙂 Definitely give it a try. It was a surprise to me too! These look amazing and that is so cool you used goat butter. How much lemon and thyme to you put in? I don’t see it in the recipe. Hi there Tara! Thank you for the heads up. I didn’t realize I left that out. Just added it to the post now, but I did the zest of 1 large lemon and 1 1/2 teaspoons fresh thyme. Congratulations to Nevin! I’m sure these cookies made his day! Very pretty! 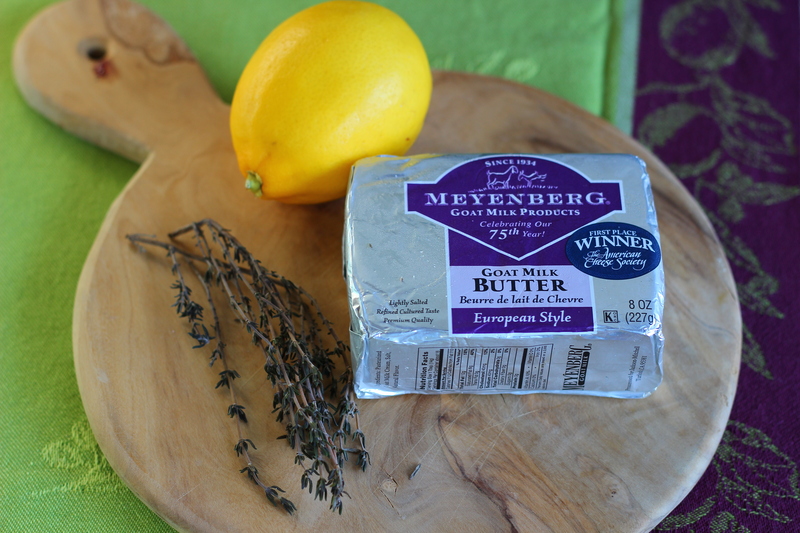 Wow, What a delicious combination, lemon with Thyme… Lovely.. I love reading about your culinary school and the great things you learn. I wouldn’t have thought of using goat butter in anything. Thank you for this recipe. Thank you Ansh! 🙂 I’m glad to share! 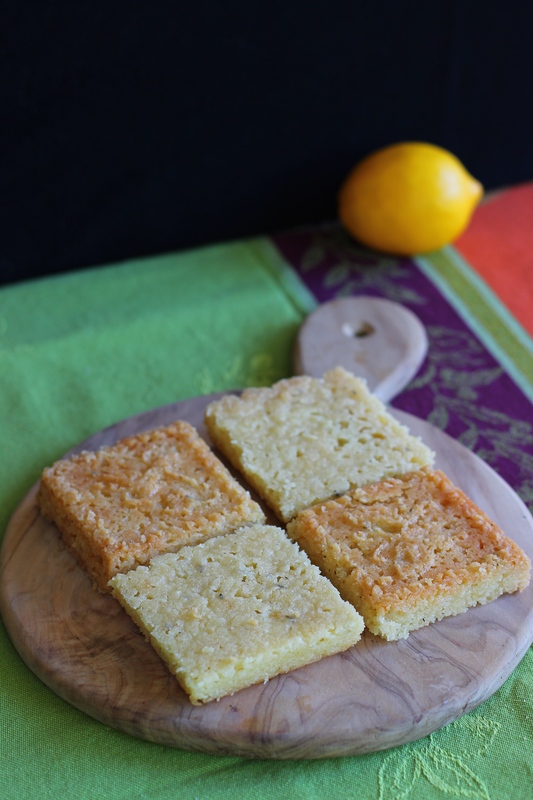 Color me fascinated–not least of which because I love shortbread, I love lemon with thyme, and I loooooooove goat cheese! Now I just need to find the goat butter! Thank you Laura! Definitely give it a try! You can find it at Whole Foods. 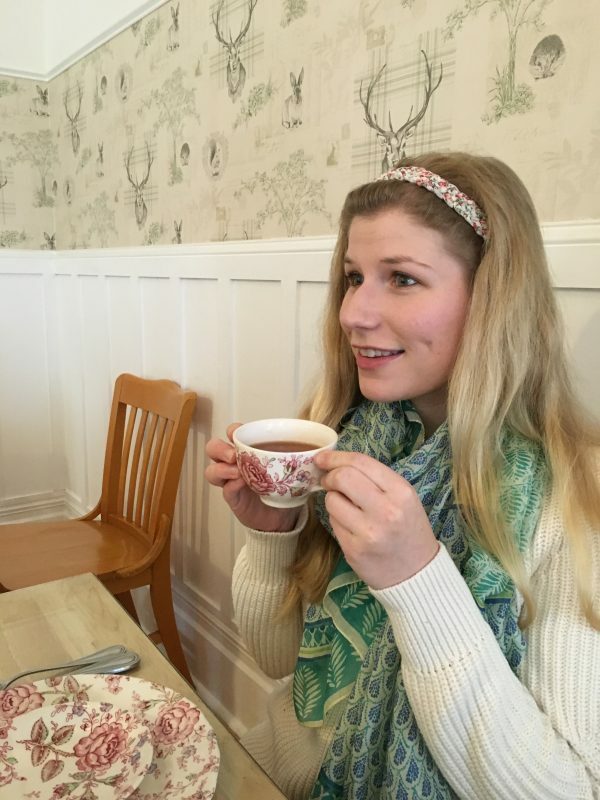 Welcome back to the blogging world again! lol I’ve never even heard of goat butter, but I would love to get my hands on some. 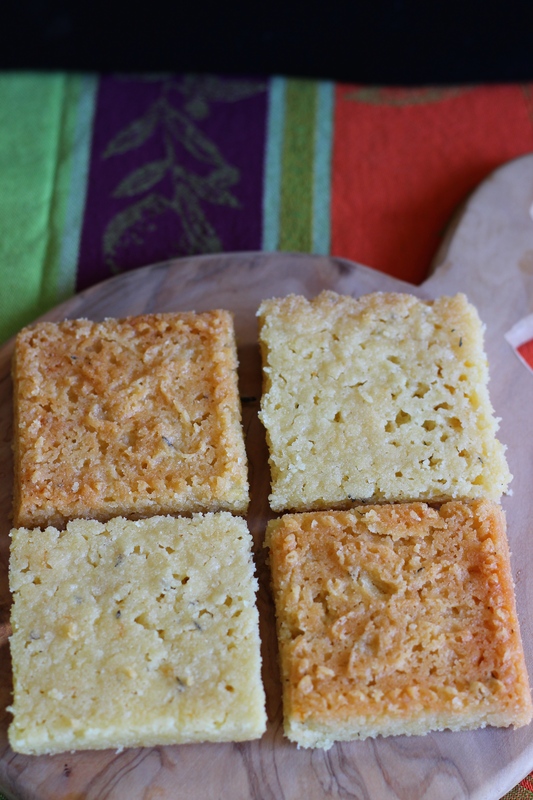 These shortbread bars look super buttery. Yum! Thanks Miranda! It feels great to be back. goat butter?! Whoa… that’s probably the coolest idea for cookies ever! I’ve never thought to use a different kind of butter before such a great idea! 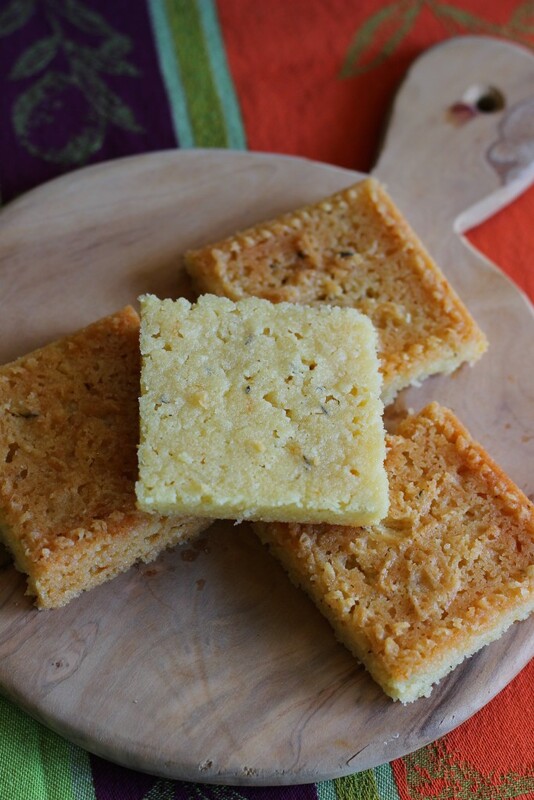 These shortbread and very creative and have perfect marriage of flavours.